There are 200 homes for sale in south Austin zip codes 78745 and 78748 with 89 under contract and 86 sold in October. That was a great month for sellers and if your considering making a smooth move give the Raesz Team a call and we can connect you with Keller Mortgage where you do not pay any lender fees and get a credit at closing. Save you thousands! The Raesz Team at Keller Williams Realty is members of the Luxury Homes and KW Land. We can help you with making that smooth move and also with land and ranches. Buying home in south Austin or Selling home in south Austin is our specialty. You can reach Ace at 512-644-0117 or David at 512-801-1223. We know south Austin very well and have been practicing real estate since 1986 and 2nd and 3rd generation Austin natives. 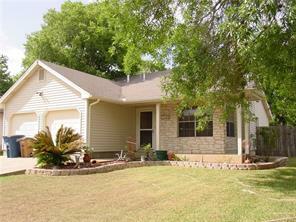 Our home at 2700 Pectoral has had a major price reduction of $32,100 and now priced at $267,900. It features a 3 bedroom and 2 bath with new carpet in 2 of the bedrooms with wood floors in the great room and it is a 1 story with a deck in the backyard and covered front porch and indoor utility and 2 car garage.